Please forgive me and my bunchy knees. Let's direct your eyes to the Beau, shall we? No, no, I'm not sporting all red because of my die hard loyalty to the Cardinals. Although in case you're curious, opening day for baseball is 4 days away - eeeeeek! I fell in love with this shirt over the weekend at The Limited. They were having an additional 40% off everything sale, and red/navy stripes is so hard for me to resist. 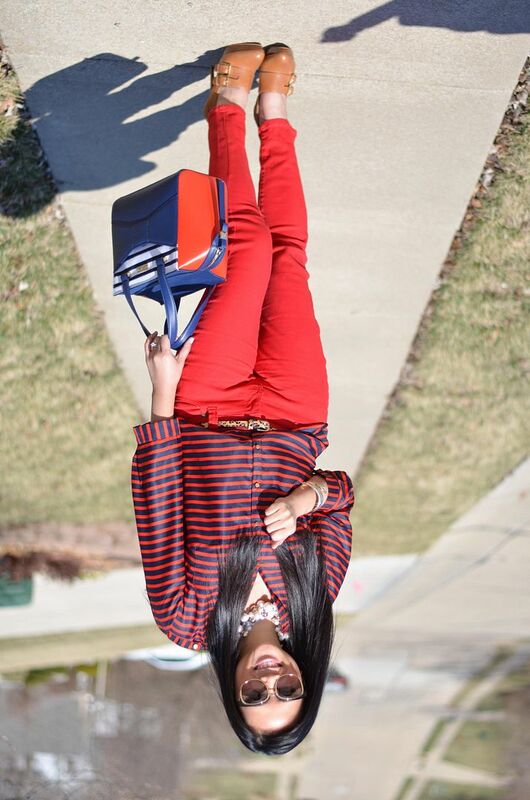 Why not go all out and wear my favorite red skinnies, too? And clearly the look is not complete without my new Beau. Fun fact about these shoes - I have a "Closet Room Collection" board on Pinterest, and these shoes are by far the most re-pinned item from that board. I mean, I can't blame those 461 people - they are, in fact, pretty fabulous! Lady in red...she's dancing with me, cheek to cheek! Every time I see someone in head to toe red, that song plays on repeat in my head. Well, just for that second but I dooooooo love that song! I sang this song in my head the entire day after reading your comment! Haha - thanks for that! I just couldn't resist going all red today! Too easy! We are right next to each other in the link up today! Twins!!!! haha Look at you, like Skye said above- "Red Hot!" Linkup fate! :) And thanks so much! You know you're busy when you've already forgotten what you wore last week! Geez! Yes those shoes are very fab!! Loving the top also. I hate when my pants bunch at the knees...... Don't worry I was looking at your Beau. Haha glad I was able to distract you! I'm just so in love with this bag!!! And I clearly need to wear these shoes more because they really are great! Well, I don't know about anybody else but the first thing I noticed was the leopard belt. :) Closet necessity I tell ya! Great find at the Limited and I really, really like that bag. So cute. It was worth the trip to FL just for that! OMG YES! So worth the Florida trip! I'm still so super elated to have it! And it just hit me last week Beau = bow, which is what the front of the bag looks like. DUH. And thank you so much for turning me on to the belt. It's really perfect!! I am a sucker for stripes so I'm loving this top! So cute how you paired it with some leopard print! Me also! 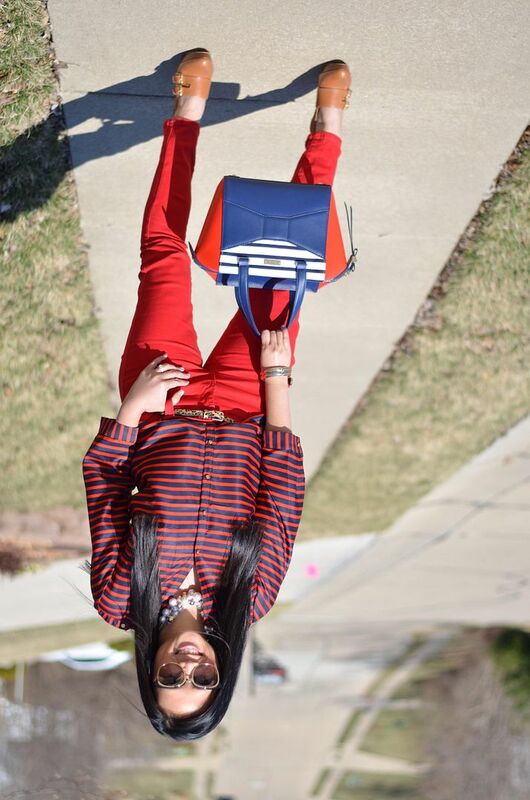 Stripes are my weakness, especially in this red and navy combo! OH! Love this all red look, so chic. And are you serious?! That is the cutest Kate Spade bag I have ever seen! Isn't it just darling? I'm so in love with my Beau! Leopard is so easy to add to anything - I just love it! I've been loving red lately too! Unfortunately for me, I pulled my old red pants out of my closet this week to realize that they no longer fit. Boo. I really like the idea of that Pinterest board.... I may have to make on of my own! Oh, that's boo! 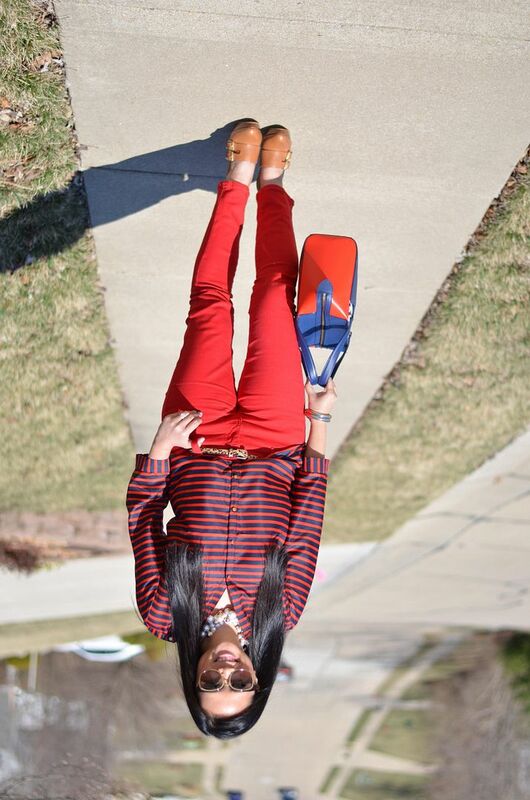 I hope you find your perfect pair of red bottoms soon! Definitely great for both style and comfort!! OMG I love that beau bag so much. You must have the most amazing handbag collection. And my husband is a huge Cardinals fan too! We are actually going tomorrow night to see the Cardinals play the farm team (the Redbirds) in Memphis (where we are from). He is super excited about the start of baseball season too! Yay!!! That is so awesome! If you guys ever make it to a game in STL, let me know in case we are there too! Thanks, Ada! I hadn't gone to The Limited in forever! Lots of treasures this last visit! Awww - that is so sweet! Thanks, girl! 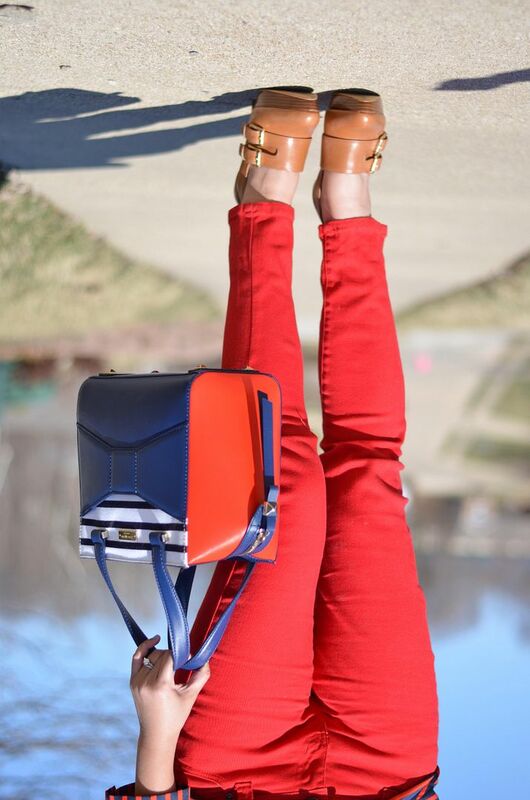 Yes, the shoes, the bag! Wow and wow! ;) I may be partial, but I must agree with you, too! Thanks for the sweet note! I'm loving this look and especially that bag! I just got my Beau Bag this week and I'm totally smitten! I'm excited to follow along and see more fabulous outfits! yay!!! The bag is seriously the best! Glad you found yours, too! !